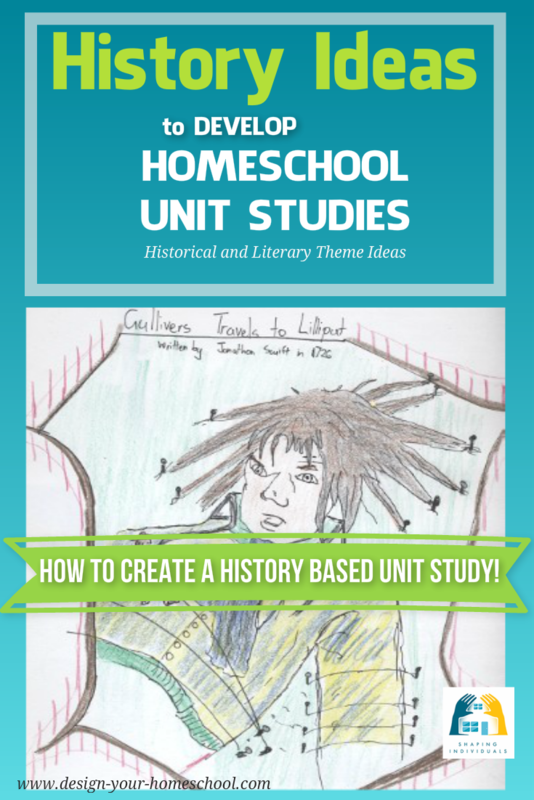 Homeschooling Unit Studies are a great way to engage in a certain topic or theme, develop it across the subject areas and explore the unit study theme in many ways. 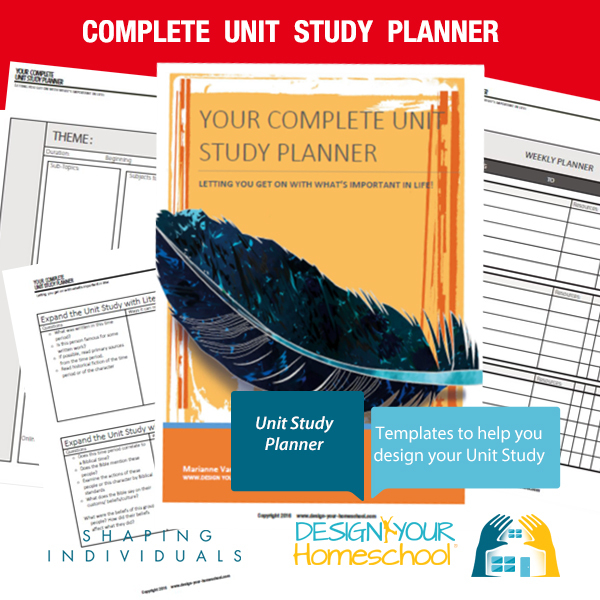 I'm excited that you'd like to design your own Homeschooling Unit Studies. It is not too hard, but requires some pre-thinking and planning. 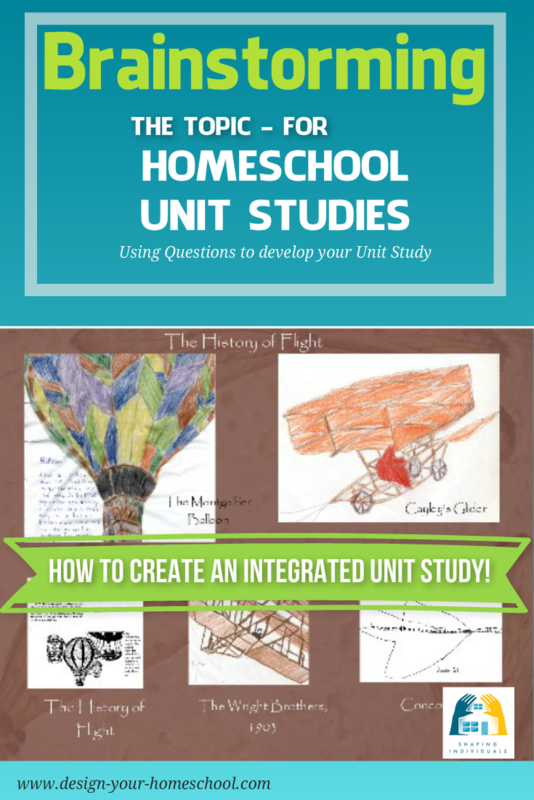 Let me walk you through the process to help you design all sorts of homeschool unit studies, uniquely. Firstly you need to think back on the decisions you made regarding your own family's goals. The goals which you choose help determine the scope of what you want to teach. For example, if it is one of your goals to bring your children through World History in chronological order, this will affect how you do unit studies. Or you may choose to vary the history studies in the primary years and work in a chronological order in the high school years. It may be your desire to plan unit studies through the primary years and work in another way in the later years. Setting your goals will help you get the big picture. 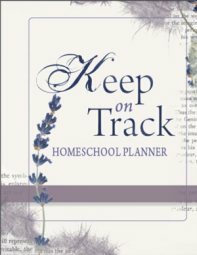 When you've decided on the big picture goals, you need to work out what you'd like to achieve through this homeschool unit study topic you've chosen. 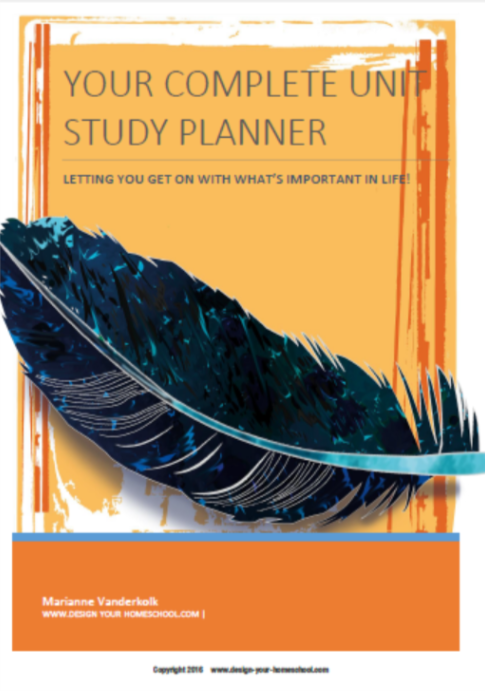 Further down this page, we'll help you decide on a topic, and at that stage, realistic goals for the individual unit study will be looked at. You might decide to use a KWL chart - and write down specific things about the subject. What we KNOW already; What we WANT to know, and later, What we have LEARNED. Using a chart like this helps you to think about how long your study might be, and helps you to work out really what you'd like to gain from it. These become your goals for the unit study. This chart is available in the new editable Complete Unit Study Planner. 2. Choose which Homeschooling Subjects will be covered by Unit Studies. How encompassing will your unit studies be? As part of the process to design your unit study, you need to think through some questions. Will you tackle Spelling in the context of the Unit Study? Will you teach art within the unit study or as a separate subject? 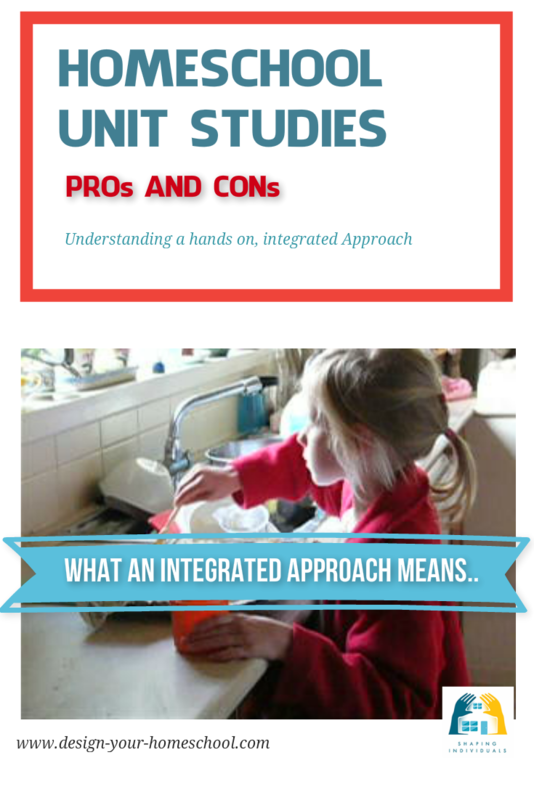 Unit Studies allow us to combine a great deal of subjects under one common theme. 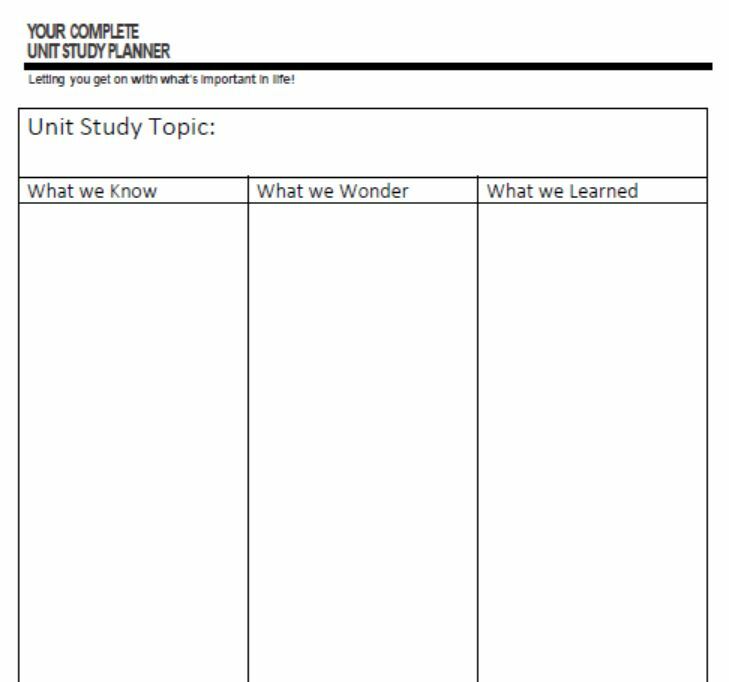 When you design your unit study, you can choose which areas you will study under the topic or theme and which you will leave to teach in a more structured, systematic way. History (Historical time periods, people, Church history, Scientists, History of cars/trains/weapons..),Science, Art and Craft, Writing, Reading, Drama and Oral Presentations, Bible, Copybook, Dictation, Geography. 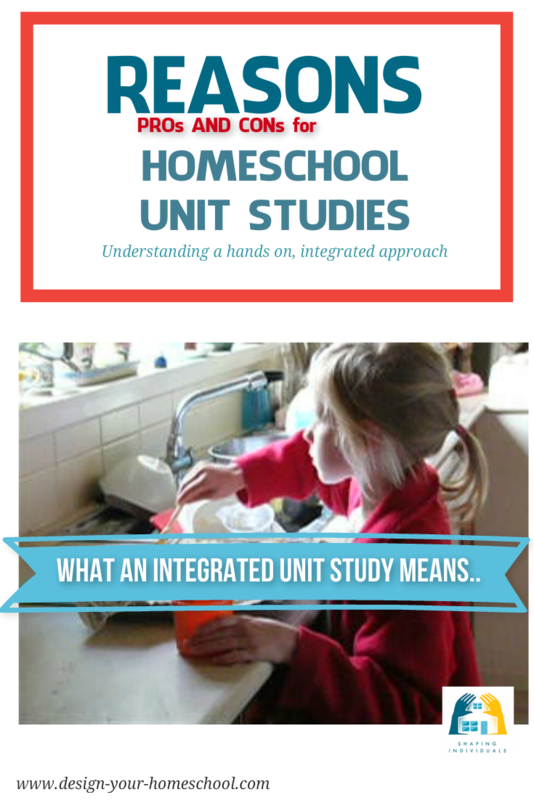 Of course, depending on the topic of interest, homeschooling unit studies can encompass much more. 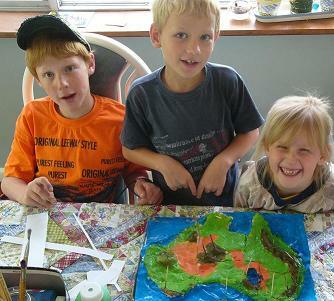 For example, here are three of my children making a salt dough map of Australia. What are they doing there? Art and craft?- sculpture/painting/modelling; Geography? History? Discussion? If your child wants to present what he has learned in a computer powerpoint presentation  then the use of a computer is a part of his learning. My eldest children have made some wonderful powerpoint presentations on Artists; Reasons for the American Civil War; Slavery and so on. If he/she wants to make a wooden model (when working on a Ship theme), then woodworking becomes a part of the unit study. It depends on the scope of the unit study itself. Some of the subjects which you choose to teach as a family will be difficult to teach in a systematic way if they are only taught in the context of a unit study. Those subjects may include: Maths, Spelling (depending on how you teach), Grammar (depending on how you teach this), foreign language, and possibly some more. 3. Decide how to teach Homeschooling Subjects outside the Unit Study. As you design your unity study, you will need to decide how you will teach these non-unit study subjects. Perhaps you can incorporate the subject into the context of the unit study, but sometimes it is a bit of a stretch and just too hard to do. This page helps to you think about teaching subjects that may be difficult to teach within the context of the unit. Here's how to Teach the homeschooling subjects outside of the Unit Study. 4. Choose your Homeschool Unit Study Topic. There are a number of ways in which you can approach Homeschooling Unit Studies and make choices as to the content of your unit study. After all, you are in the page, "Design Your Homeschooling Unit Studies!" It is virtually limitless: History, Science, Literature, Character, Biblical theme and so on. Need help? This page helps you decide which unit study ideas or topics to study. 5. Brainstorm your Unit Study - WHAT to study. An easy way is expand and develop the unit study is to apply questions to the topic or theme and choose certain aspects from the study which you will research together as a family. Once you've researched and developed the topic by brainstorming Your Unit Study Idea, you can apply it to various subjects, list activities, list field trips, add books to read and decide on the duration of the unit study topic. 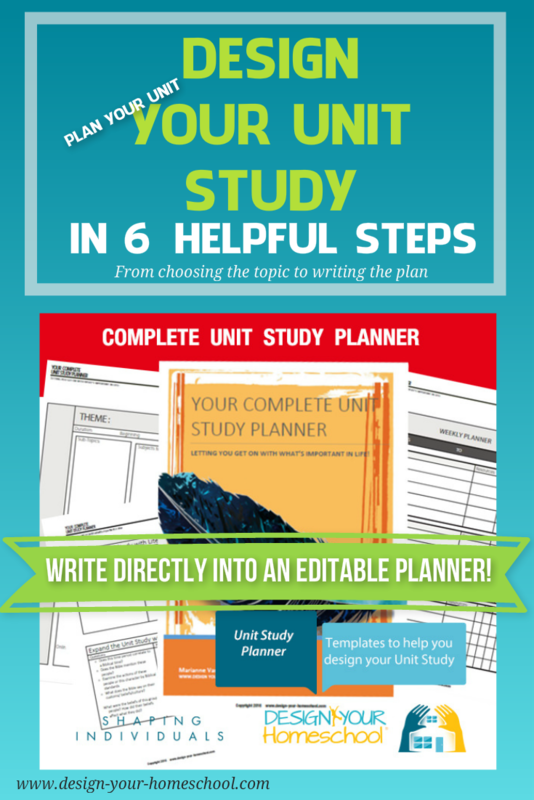 In the Complete Unit Study Planner, you can add your ideas into editable forms. 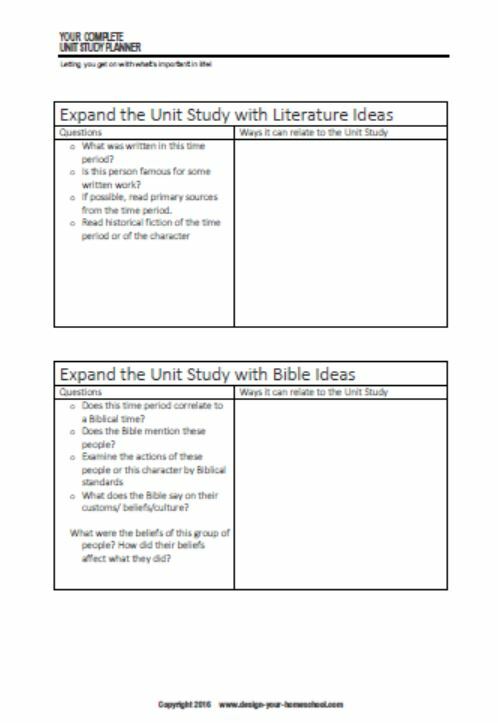 These templates will help you expand the unit study, and help you expand the sub-topics. For example - you may wish to have a broad theme on Oceans ... and one sub-topic may be - Animals in the Ocean. 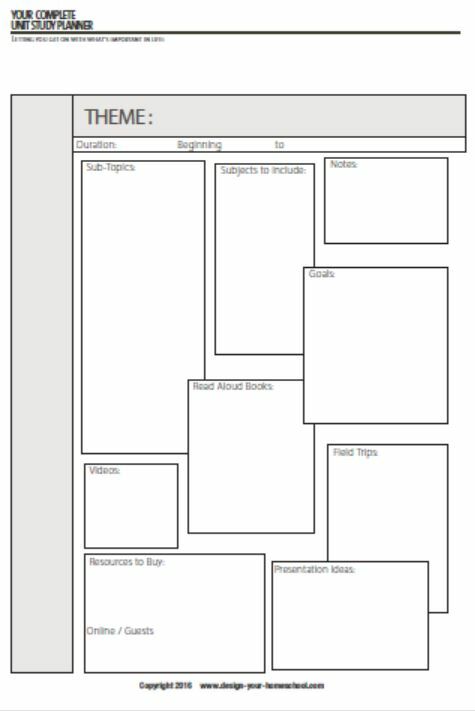 Using a brainstorming template, you can add in a bunch of activities and ideas across Writing, Reading, History, Science etc all about animals in the ocean. You can use the template again and again to expand different sub-topics within the whole theme. Since you have chosen your topic, expanded it by brainstorming with appropriate questions and found wonderful research ideas, it is a good time to think about how your children may enter the field of knowledge, read, research and respond in varied learning style activities. We can do this through Kid's Learning Activities. 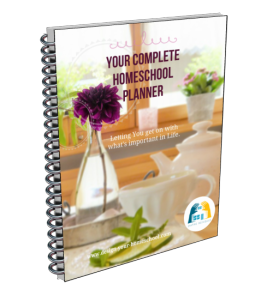 "At Homeschool Share, we carefully read each book and lesson plan, and for each we have assigned a unit level that we believe fits most students. That said, your child is unique and you know him best--you may find other units outside the expected ages for which we think the unit is best suited. Do not feel that you must stay within these levels!"